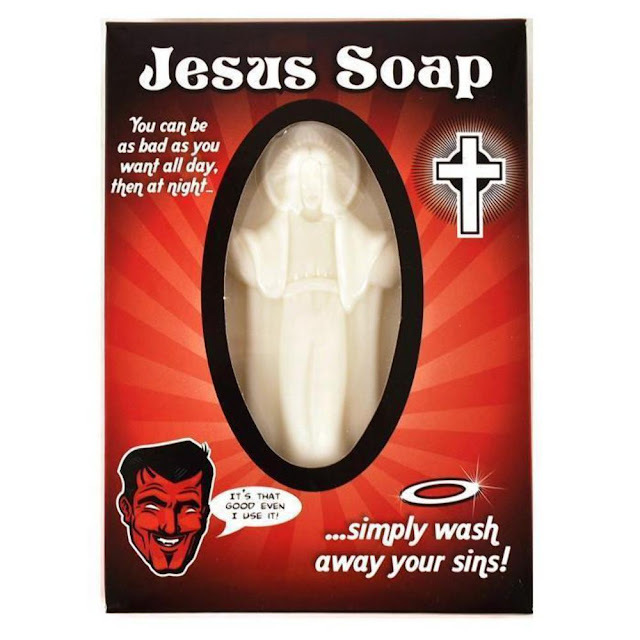 Jesus Soap - you can be as bad as you want all day, then at night. Simply wash away your sins! It's that good even I use it, says the Devil.